Displaying 1 to 50 (of 1634 products)	order by Products Name. > 80% based on SDS-PAGEProprietary 2-step fractionation procedure. Affinity purified antibody is > 95% based on SDS-PAGEAffinity purified using solid phase Human IgA. > 95% based on SDS-PAGEAffinity purified using solid phase Human IgA. 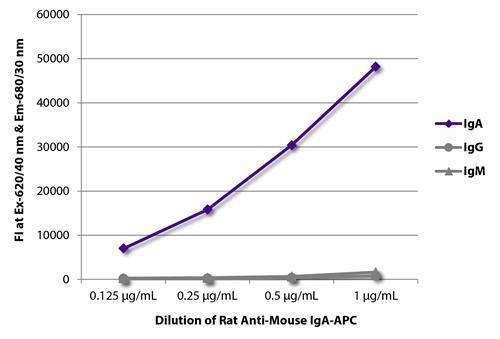 > 90% based on SDS-PAGE Small amounts of intact IgG may be present.Affinity purified using solid phase Human IgA.